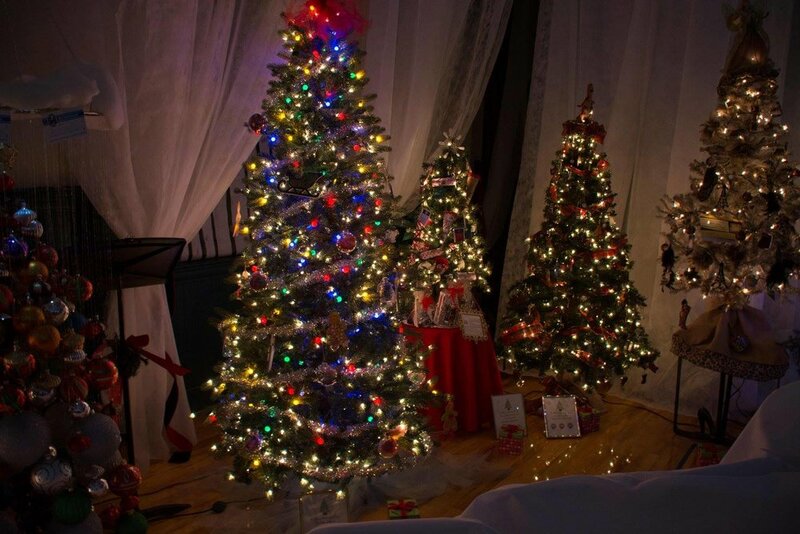 The St. Albans Festival of Trees is a week long event ushering in the Holiday Season with activities, entertainment, dancing, and more all in our historic Downtown. We welcome you to join us in celebrating the Holidays! The centerpiece of the Festival of Trees, Our gala- A Journey Thru Time - is our Friday night fund raising gala and auction. Costumes are encouraged (but not required!) as we eat wonderful food by the talented students of the BFA Culinary Arts Department, enjoy the music of BFA’s a string ensemble, and then dance the night away. We’ll have a raffle, a brief live auction, and a silent auction throughout the night. The trees and items are all donated by community residents and groups. This year, we are going to help fight hunger. Our gala will be benefiting Martha’s Kitchen and Franklin/Grand Isle Community Action - CVOEO. Thank you for your interest in the Festival of Trees, we hope to see you there!